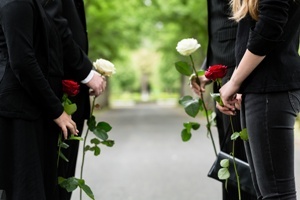 Who can File Wrongful Death Claim in Louisiana? | Grady J Flattmann, Attorneys at Law LLC Gayle C.
A wrongful death claim is a type of civil action that allows the loved ones of someone who has been killed due to another party's negligence to seek damages in court. While the settlement funds can't bring back the deceased, it can help make up for the financial stresses facing the decedent's family. If the deceased was married or has children, the surviving spouse or children of the deceased person can file the claim. If the deceased person was not married or has no children, the surviving parent or parents can file the claim. If there is no spouse, children, or parents, the surviving siblings of the deceased person can file the claim. If there is no spouse, children, parents, or siblings, the surviving grandparents of the deceased person can file the claim. If there are no surviving family members, the estate of the deceased person can bring the claim to court. Adopted family members have the same rights as those who are related to the deceased person by blood or marriage. However, a parent who abandoned the deceased person during his or her childhood years may not be permitted to file a claim. For the purpose of a wrongful death suit, parental abandonment is treated as if the parent is deceased. In a wrongful death claim, time is of the essence. The claim must be filed within one year of the deceased person's death or you lose the ability to collect damages. Filing your claim in a timely matter is also important because valuable evidence can be lost if you wait to take legal action. For example, witnesses may be more difficult to locate or have trouble remembering key facts if several months have passed. A wrongful death claim is separate from any criminal charges filed that relate to the death. However, the evidence in a criminal case may help establish negligence in a wrongful death claim. In any wrongful death claim, having a skilled wrongful death attorney who can advocate for your interests throughout the process can be critical to receiving a fair settlement. To learn more, schedule a free, no-obligation consultation with Grady J. Flattmann, Attorneys at Law, LLC.